Governor Rick Snyder led the Annual Mackinac Bridge Walk Monday morning. He says he meets a lot of people on the walk. 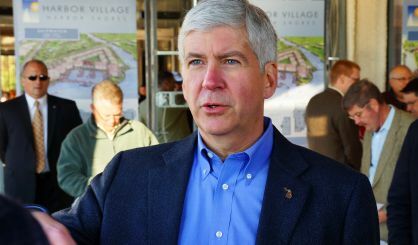 Snyder says folks talk to him about their favorite places to go in Michigan. On Labor Day, Snyder says the state has added 475,000 jobs since it became a “right to work” state. He says more organizations are looking at Michigan because of it. The five mile bridge walk has been held each year since the Mackinac Bridge opened in the late 1950s.